Reverend Tamara Wood age 76, of Defiance, died unexpectedly at the Mercy Hospital, Defiance Thursday evening, January 17, 2019. Her Legacy… Tammy was born October 2, 1942 to Ralph and Helen (Mendenhall) Thornburg in Farmland, IN. On September 30, 1967 she married John Wood. Tammy received her Bachelor’s degree in Education and later received her Masters of Divinity. After becoming a Pastor she began her ministerial journey at Trinity and St. James Lutheran Churches in Fort Recovery. She and John then spent some time in Florida. Pastor Tammy got a call to serve in northwest Ohio and that is where she spent the rest of her life. The first call was to St. Peter Lutheran Church in Holgate, Ohio. After retiring from St. Peters, she then served as interim pastor at St. Stephen Lutheran Church, Hamler. Once she left St. Steven, she moved to First Lutheran Church, Stryker until the present. Ministry was her life! Her Family… She is survived by her husband John; sons, Christopher Jay (Michelle), Fort Wayne and Jason Jay (Melissa) Wood, Vicksburg, MI; grandson Morgan Christopher Wood; and a brother Steven (Betty) Thornburg, Winchester, IN. She is preceded in death by her parents and a nephew Steven Daniel Thornburg. 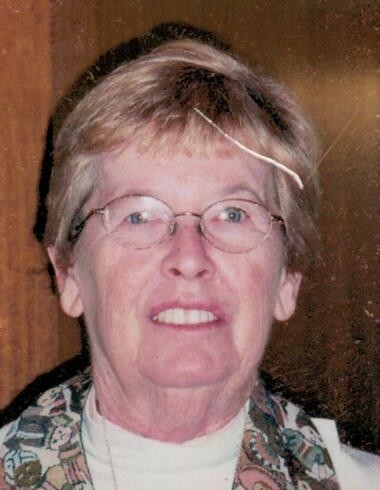 Her Farewell Services… Friends will be received in St. Paul’s Lutheran Church, 671 Clinton Street, Defiance on Sunday, January 20, 2019 from 2-4 and 6-8 pm and again on Monday from 9-11:00 am. The celebration of Pastor’s life will be at 11:00 am in church with Bishop Daniel Baudoin presiding and Pastor Dave Brobston officiating. Burial will follow at a later date. Contributions made in Pastor Tammy’s name to American Heart Association.